Jimmy Li of Fancy Sushi Asian Fusion cooks up pork belly on the Korean barbecue grill. In a strip mall right off of Grand Avenue in midtown Billings is Fancy Sushi Asian Fusion. This restaurant offers over 259 different menu items from Japan, Thailand, China and Korea, bringing a sampling of Asian cuisine to diners. Fusion food combines ingredients and flavors from Asia with American touches. 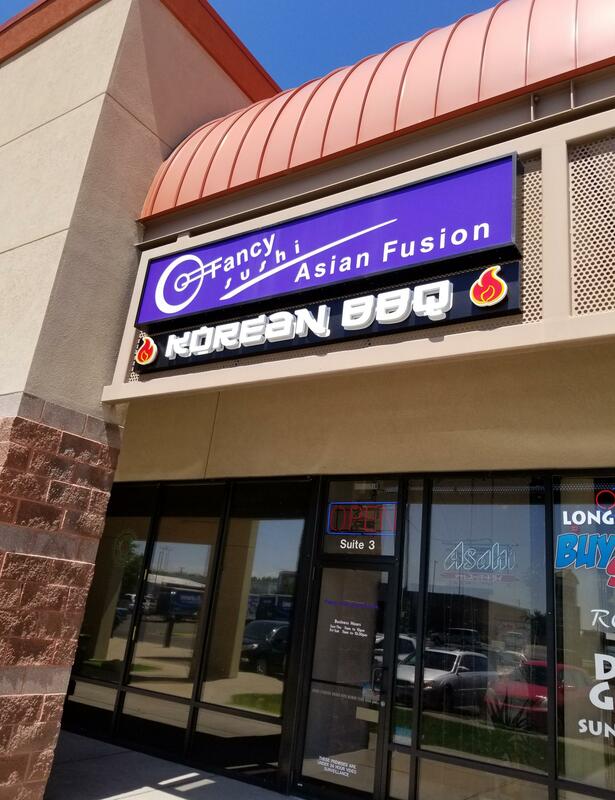 Already featuring sushi, sashimi, curries, noodles and stir-fries, the restaurant recently offered the option of Korean Barbecue, the first in Montana. Eight tables with built in gas barbecue grills and individual exhaust hoods were added. Yu Guan heads the kitchen while Jimmy Li runs the front of the house at Fancy Sushi Asian Fusion. Jimmy Li immigrated from Fuzhou in the southern part of China in 2002 to New York. His mother brought his older brother and him to the states to join family already settled here. “My family is a big family. I still have a grandmother, 93 years old. She has eight kids. It made me have a lot of uncles and aunties, and most of them are in America, too. Some of them in New York. Some of them in California and some of them in Florida,” Li shared. After marrying his wife in 2008, Li gained a family who had experience in the restaurant business. His father-in-law, Yu Guan, was working in restaurants in New York Chinatown and wanted to leave the bustle of the big city. “He was thinking and he has same feeling as me, it is too crowded,” Li explained of living in New York. 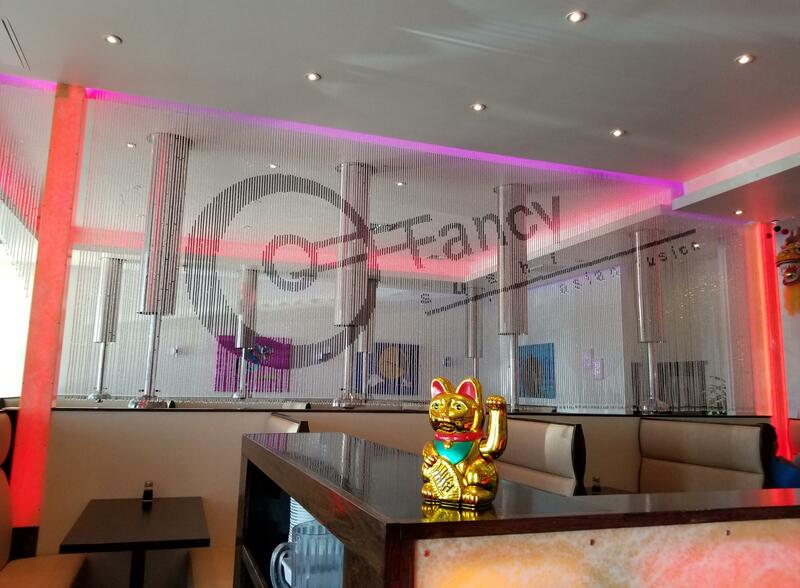 The family moved to Billings to launch Fancy Sushi Asian Fusion. Fancy Sushi Asian Fusion is located in a strip mall off of Grand Avenue in Billings. Li went to school with his wife, Icy, in China and continued to visit her after his move to the United States. When they were applying for citizenship for the naturalization process, she had to pick an American name. “My wife, she’s a person that is kind of quiet and does not really like to talk. Her sister’s name is Ivy, so she chose Icy” a name similar to her sister’s. The two tag team, managing a restaurant open 7 days a week. They switch off to have someone home with their 8-year-old daughter and 2-year-old son. 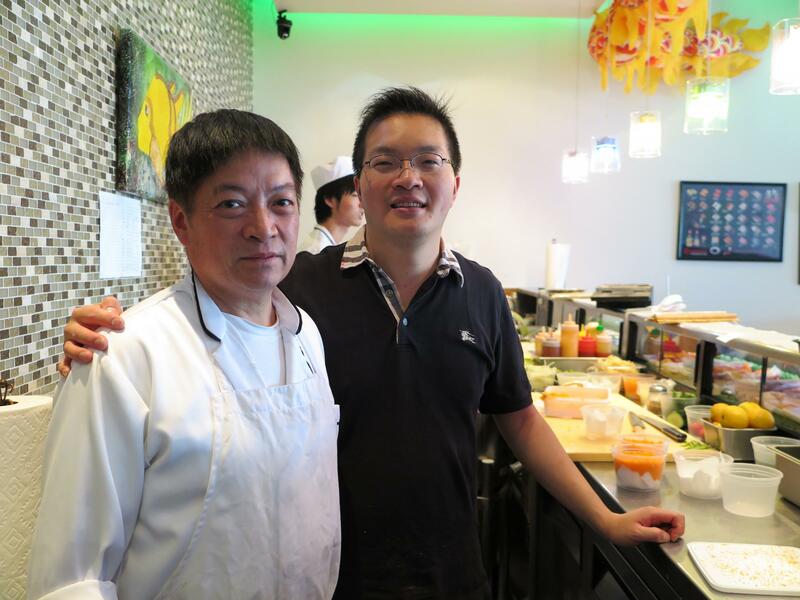 “It’s very hard to work 7 days a week,” Li said but wants to give each customer the best service and the best food. His close oversight of the operation ensures consistency and quality. Though located in a nondescript shopping mall, Fancy Sushi Asian Fusion draws the customer in with an inviting sushi bar that seats a half dozen people. LED lights in purple, pink and green edge the ceiling and the wine bar. A “good luck” paper dragon dangles from the ceiling while the Japanese Maneki Neko or “beckoning cat” continues the fortuitous spirit, waving a welcome to guests. Beads hanging from the ceiling with the restaurant’s name divide the restaurant in half with regular dining on one side and the Korean barbecue in the back. A wall of crystal beads hang from the ceiling, forming a natural barrier between the main restaurant and the new Korean Barbecue. On the other half of the restaurant there are eight tables with individual grills and hoods. A bank of booths line the window side of the restaurant. The Korean Barbecue gives customers an option to cook food right at the table. Li’s family in New York gave him ideas and recipes for his new setup. In Korea, many restaurants specialize only in this type of cooking. The grill, the size of a large round platter is heated up to 450 degrees F. Much of the cooking is done on a flat metal plate but for steaks, the plate is replaced with an open grate much like what is found on a home barbecue grill. Accompanying the meats are four sauces – spicy soybean paste, sesame oil with salt and pepper, soy vinegar sauce with onion and barbecue sauce. A selection of pickles – kimchi, Korean spicy fermented cabbage, pickled cucumbers, pickled garlic and daikon radishes is arrayed on the table. Then for further amusement, a plate of baby octopus is brought out that is later cooked on the grill. Li recommends pork belly for those who have not experienced food on the Korean grill. After shining his infrared temperature gun on the table to verify the 450 degrees, he adds butter, sliced onions, garlic, rings of jalapenos and zucchini slices. He pointed out the customer-controlled temperature control at the end of the table. Slices of pork cook on the Korean Barbecue with jalapenos and onions. The slices of pork belly, seasoned with only salt and pepper allow for the diner to personally flavor the meat after the cooking is done. Though the hood draws a good portion of the cooking smells in, aromas still flow nicely into the room. The hum of the ventilation system does supply a mechanical din to the room but not so loud to interrupt conversation. “Actually in most Korean restaurants, they have customers cook their own food,” Li said but he or his staff are more than willing to cook the food. He believes it is a good way for kids to learn about food and to have a chance to try their hand at cooking. After the meat is cooked and nicely caramelized, Li places a small rack on top of the grill to rest the meat and to keep it warm. To eat the pork, take some slices of meat and add it to a Romaine lettuce leaf. Drizzle with the sauce of your choice and add kimchi and rice if you want. Wrap it up and eat. You’ve made a fresh Korean taco. Li proceeds to cook jumbo shrimp with shells on, marinated lamb chops and finally 1/2 –inch slices of filet mignon. The grill plate was replaced with an open grill. Placed next to the gas flames are a few pieces of charcoal. Li brushes butter on the grill and then places slices of meat on. Then he spreads some butter on top of the meat. As juices drip onto the grill, flames flare momentarily up to caramelize the bottom of the meat. Kimchi, spicy Korean pickled cabbage (top center) baby octopus (center left) accompany four different sauces (center right) and colorful pickles (bottom). For those who do not want to cook their own food, Fancy Sushi Asian Fusion also specializes in sushi rolls. Li shared the Yummy Roll made with spicy tuna, salmon, yellowtail, avocado, tempura flakes topped with spicy king crab, fruit and a special sauce. The other favorite is the Spicy Girl Roll with kani or crabmeat, avocado with spicy tuna, salmon, tempura flakes topped with jalapeno. For hot dishes, the Salmon Teriyaki made with sushi grade fish, and Thai Amazing Chicken with peanut sauce are the popular items that come out of the kitchen. For Billings, Montana, Fancy Sushi Asian Fusion offers flavors of Asia to this landlocked location. Combinations of ingredients and cooking styles from China, Japan, Thailand and Korea show that when brought together create fusion cuisine in a friendly and welcoming setting. 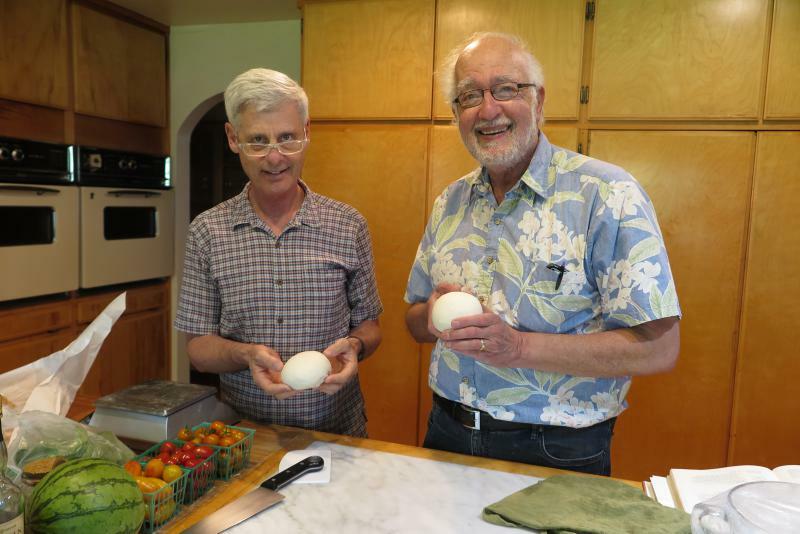 Back in April, my husband Joe Dillard had the privilege of learning how to make French Bread from Greg Patent. I gifted him a weekend where he could have hands on experience with an award winning cookbook author. Patent’s book Baking in America won him the James Beard Cookbook Award and finalist recognition for the International Association of Culinary Professionals Best Baking Book. 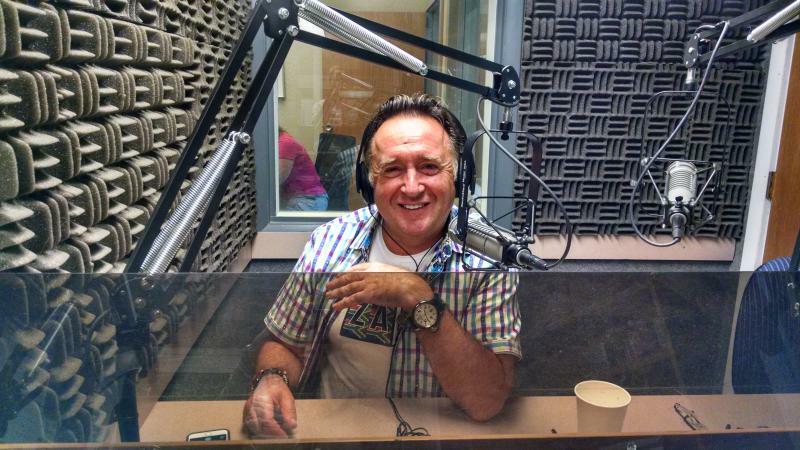 Greg has become a mentor and has provided me invaluable support and advice in the culinary arena over the years. Executive Chef Bernard Guillas recently participated in the 25th MSU Billings Wine and Food Festival teaching a class entitled Spring Fling – Sharing the Love. The title of the class embodied the spirit of Guillas, a Frenchman living La Jolla near San Diego, California. 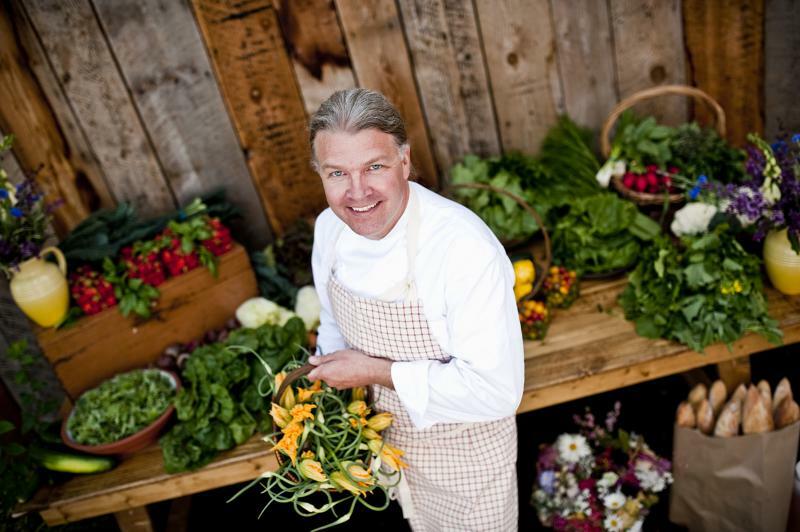 The man exuded charm packaged with passion for food and living. As the head culinary leader for the La Jolla Beach and Tennis Club and Marine Room restaurant, Guillas not only impressed the locals, especially the women with his multiple air kisses, but also with the art he created on the plate.